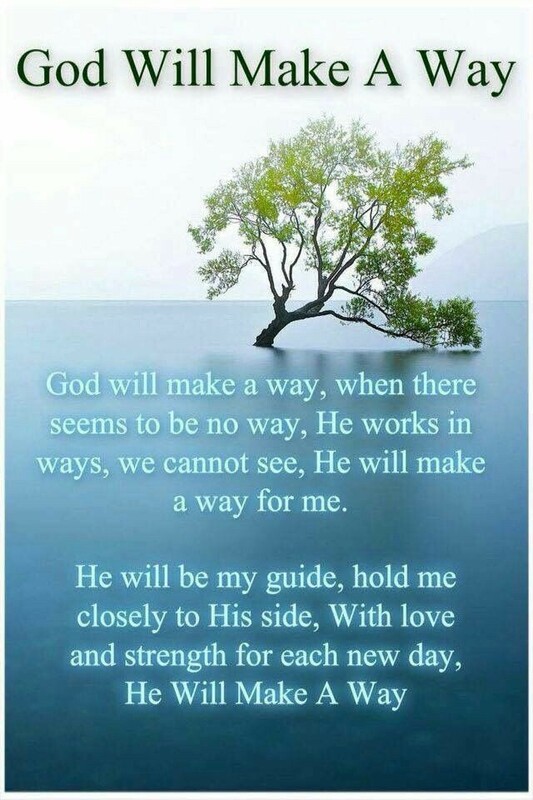 God will make a way where there is no way. With 12.8 million people being evacuated with Hurricane Matthew hitting the southeast coast I stand on this Word. Lord make a way for your people to stay safe. Hide them under the shadow of your wings Lord. Lead them guide them and give them abundant provision in their time of need, in Jesus Name. Posted in faith, God, Hope, Religion and Spirituality, Spirituality and tagged God, Hope, Hurricane Matthew, prayer. Bookmark the permalink.